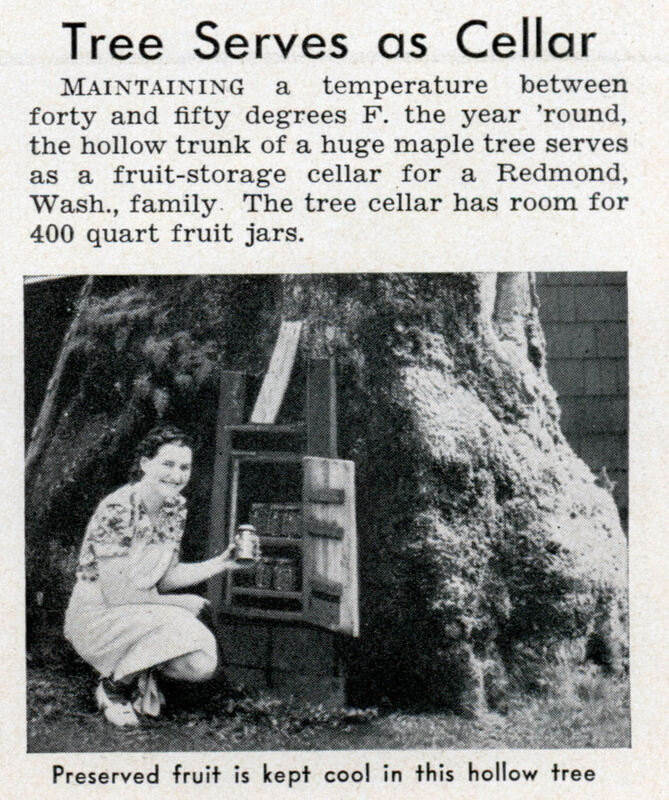 Maintaining a temperature between forty and fifty degrees F. the year ’round, the hollow trunk of a huge maple tree serves as a fruit-storage cellar for a Redmond, Wash., family. The tree cellar has room for 400 quart fruit jars. I had no idea maple trees got that big. Looks more like a Sequoia (Redwood). Scary.